Last year, I was President of the Chartered Institute of Public Relations, which comes with manifold responsibilities. But was also an opportunity to highlight key issues for the industry – and the Institute. In my year, I spoke, wrote and led action about promoting ethics in our industry, the importance of building strong links with other professions, further strengthening our foundation of professionalism and Continuous Professional Development and unfortunately I also spent a lot of time addressing the embarrassment of diversity in PR. We start off as a 76% female profession – but at the top jobs that falls below 50%, so gender diversity in the top jobs is an issue. Then there’s the gender pay gap – and the resulting issue of how on earth a male dominated, white middle class profession can progress. One exceptionally significant, strong beacon of hope and change is The Taylor Bennett Foundation. For almost a decade Heather McGregor has led the formation and establishment of a brilliant organisation. Heather’s personal determination to make the Foundation succeed has never abated. She has believed for many years that having a more diverse profession would be good for business, good for employers and employees – and most importantly – she knows and has championed that diversity is necessary for the future good health of PR. More than 150 back and minority ethnic graduates have been through the Foundation’s programme and 83% of those are still working in the PR and communications industry. Soon we will see greater diversity in leadership, we are already – just not enough. None of this would have been possible without the determination of Heather. She really is an inspiration to many – those who have been through the Taylor Bennett Foundation programme, because of Heather’s work and that of the foundation those young people have a very good chance of getting their first job in the industry of their choice – PR. But she is also an inspiration to women like me who look at the leaders in our profession and are saved from deep depression by her work, seeing the promotion of more female and more diverse leaders is encouraging. And she is an inspiration to employers, large, small and medium sized who because of Heather’s work have a great choice of candidates to employ. As President, I am given the opportunity to do something rather special, following in the footsteps of my predecessors since 1966, I am able to award The CIPR President’s Medal for distinguished service to public relations. For my 2015 Presidential year there was no competition. 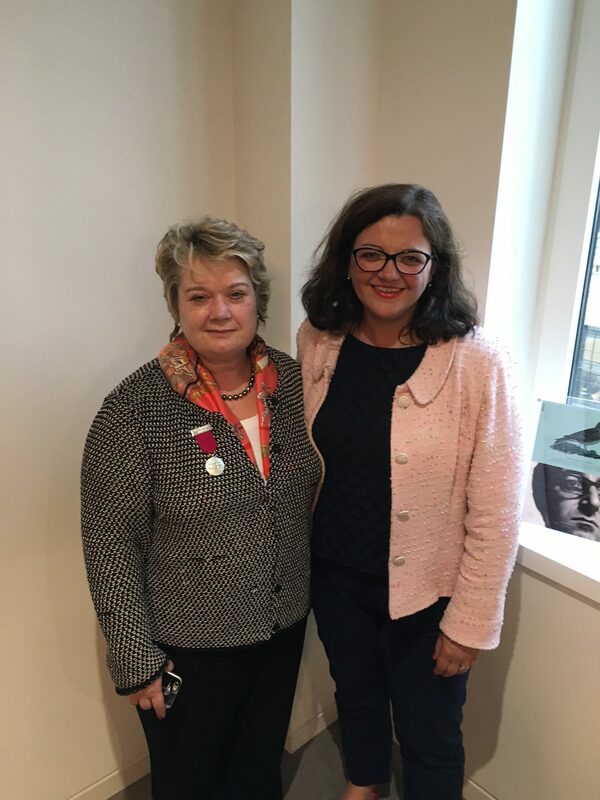 Heather McGregor CBE, was last evening presented with the 2015 Chartered institute of Public Relation’s Presidential medal for her distinguished, outstanding, ground-breaking, inspirational, important service to PR.